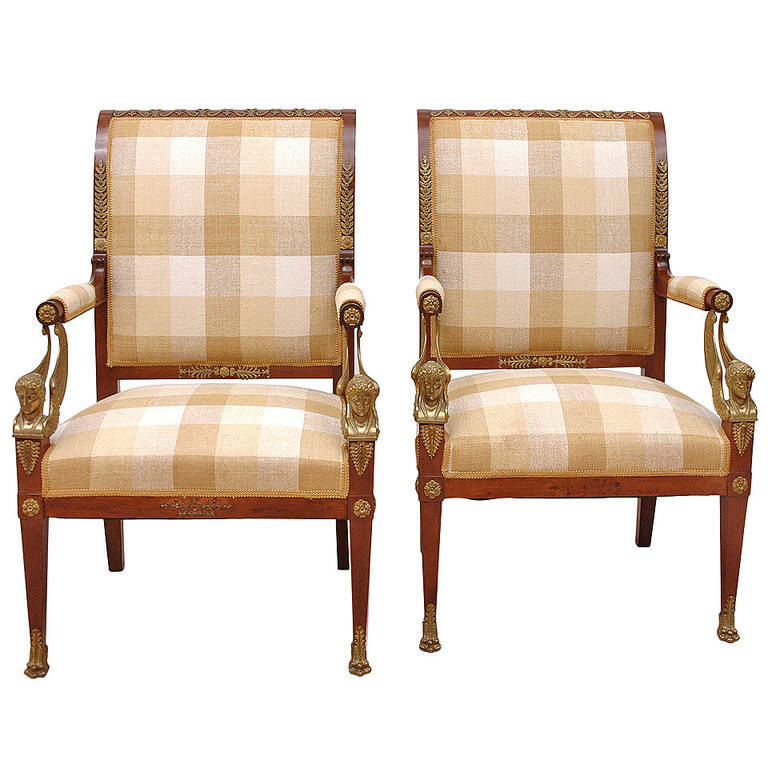 An exquisite pair of Empire armchairs/ fauteuils in fine mahogany with bronze doré ormolu mounts decorating the upper crest & lower back splat, with rosettes & palmettes on legs terminating with sabots of lions' paws & caryatids of winged female figures as arm supports, France, circa 1810. 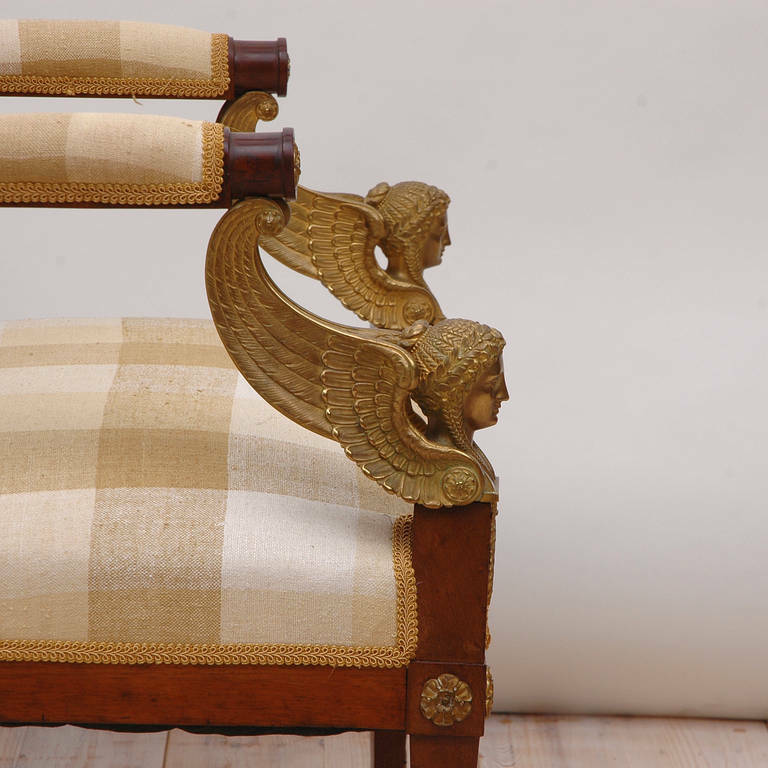 These chairs are extremely well-crafted & were purchased by us directly from the family whose forebears had commissioned them around 1800. 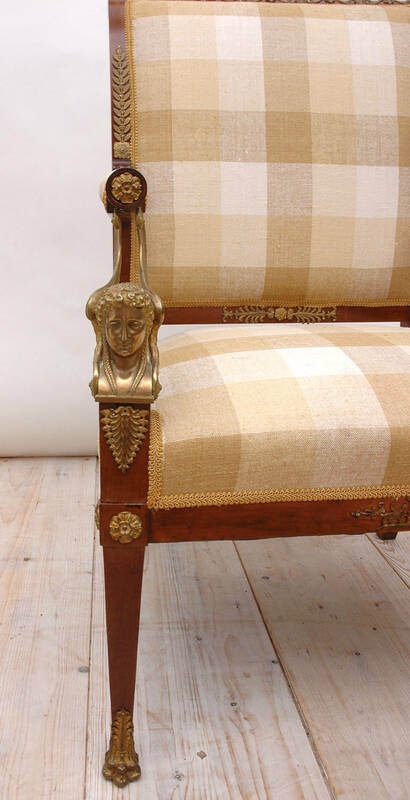 Restored in our workshop with French-polish finish. 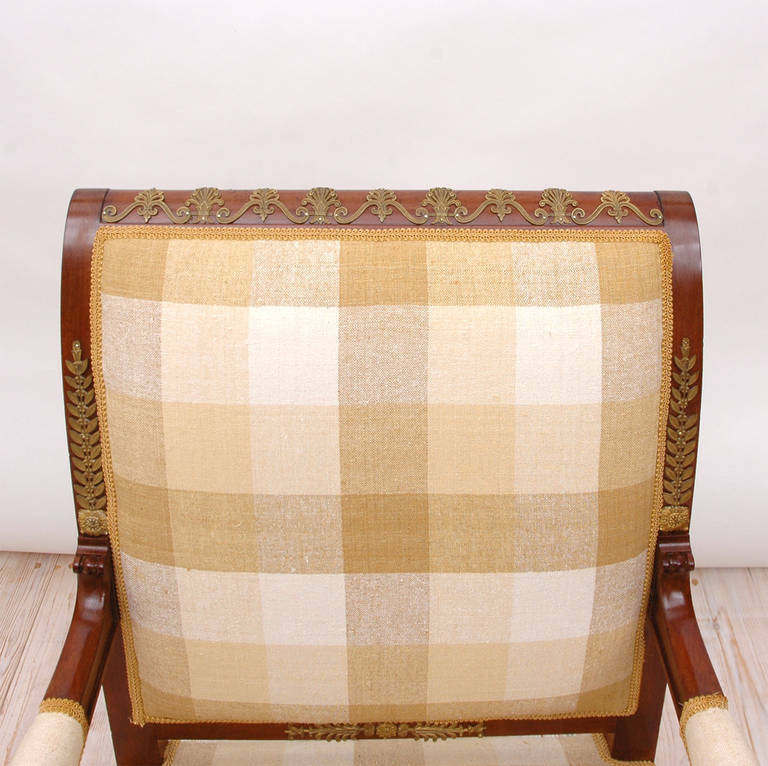 Measurements: 26 1/2" wide x 27" deep x 39 1/4" high (Seat height: 18"). 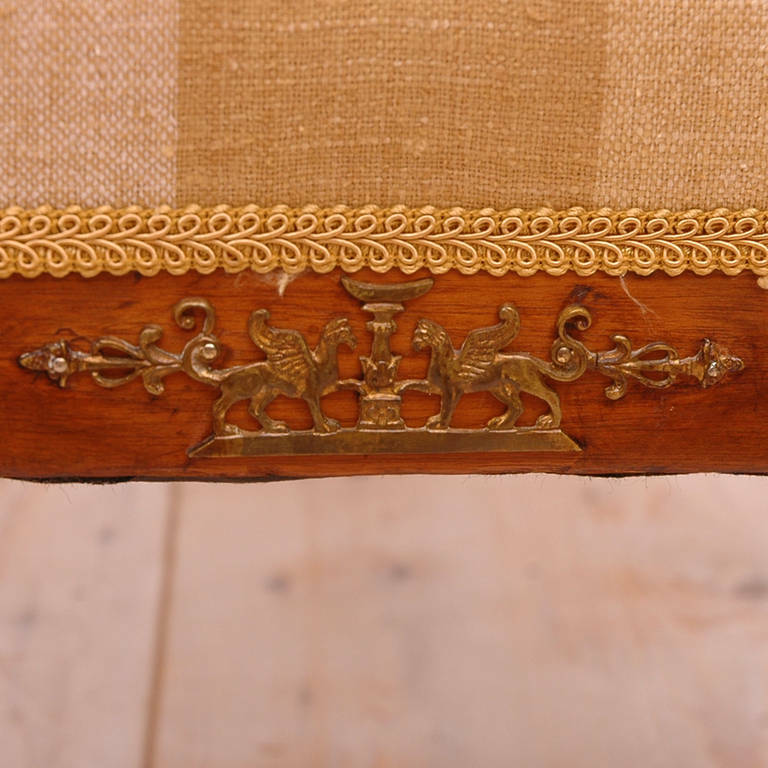 Chairs are exquisite &amp; in very good condition with several small pieces of the ormolu mounts missing: on the seat rail of one chair, &amp; two additional small pieces are missing in the decorative palmettes. 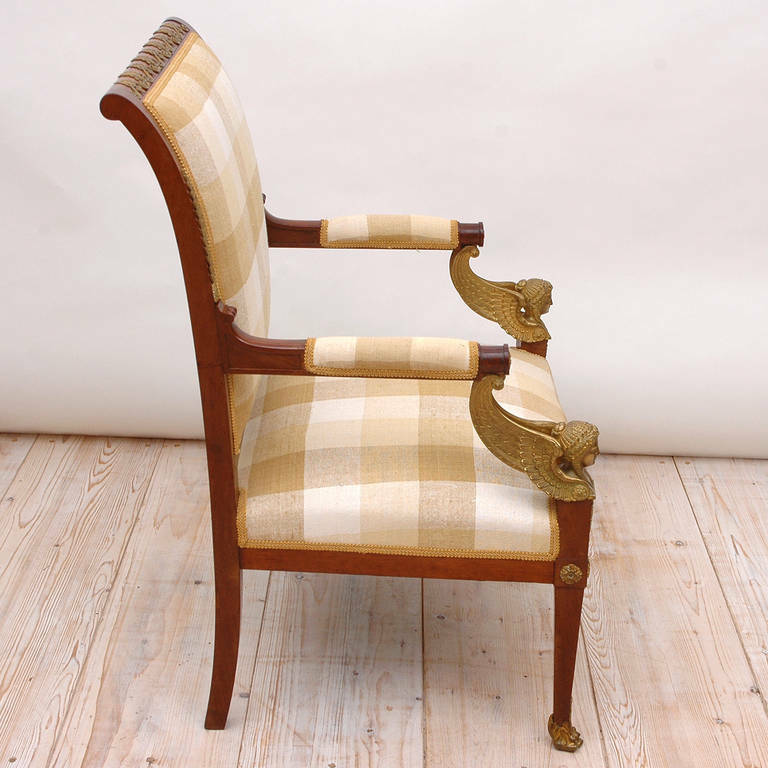 French-polish finish. Mahogany solid wood, partially veneered. 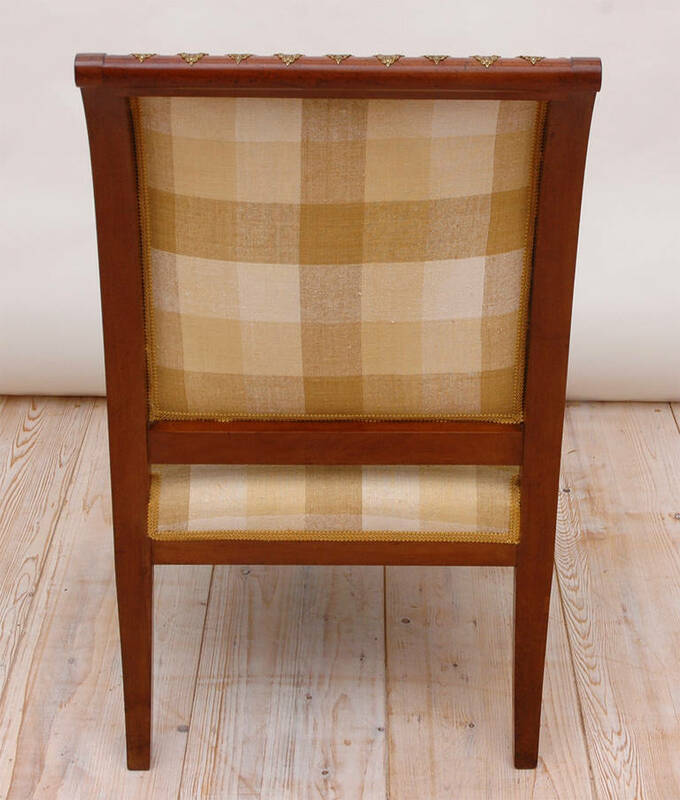 Semicircular backrests, Bergeren-form. 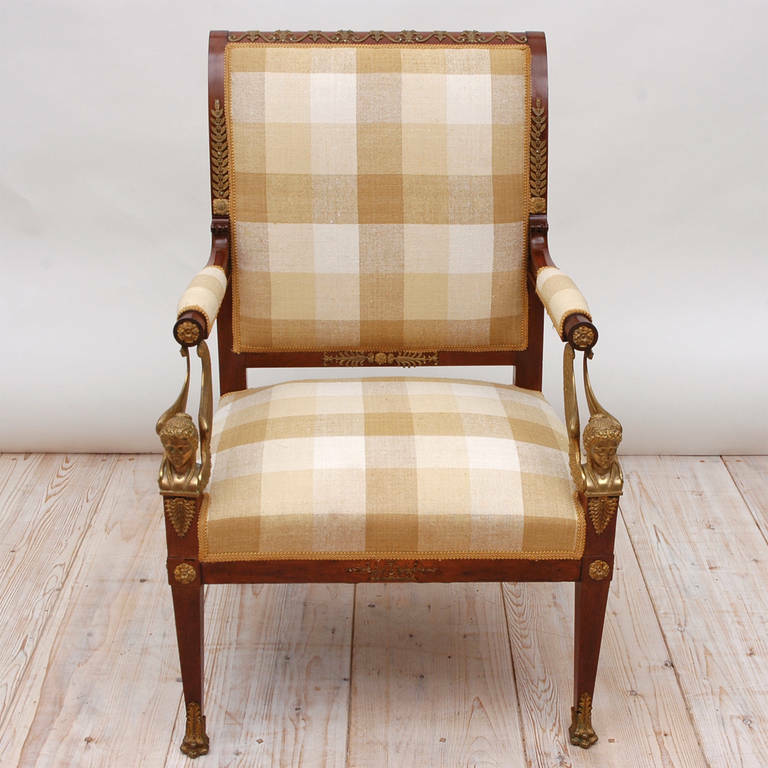 Restored and reupholstered with original Wollrips fabric covered. (C-147). 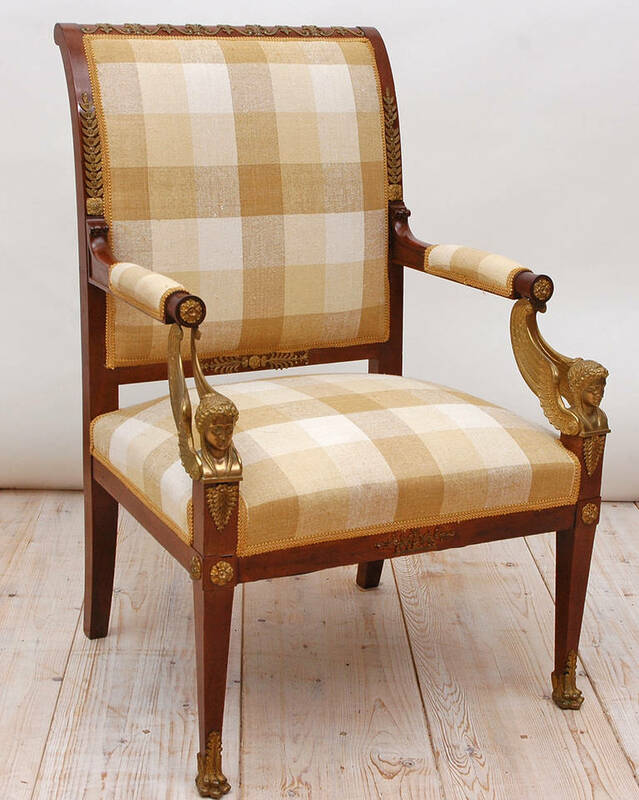 Elegant and decorative Danish Empire armchair, mahogany and fruitwood. Arms in form of woodcarved grifheads. Front legs with griffeet. 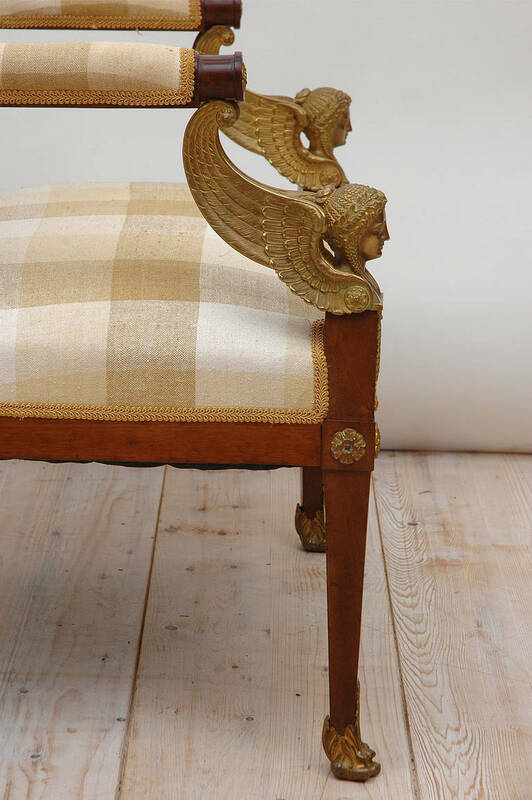 Original condition and gentle restored.